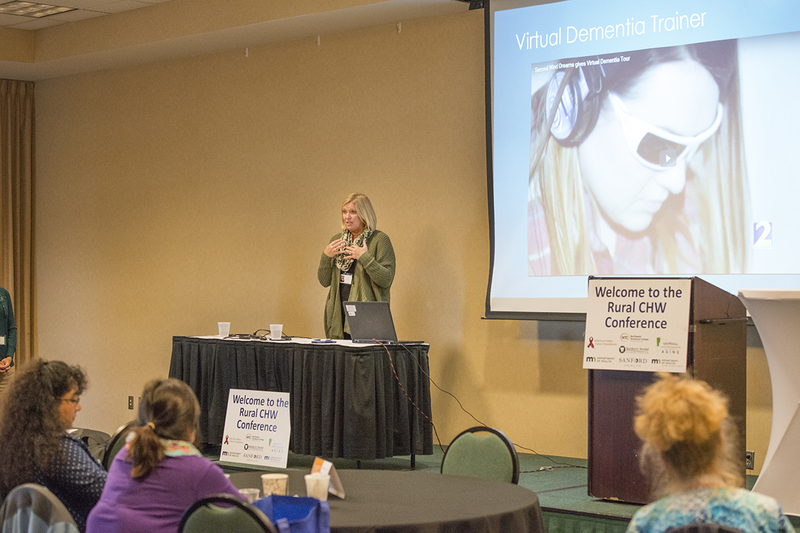 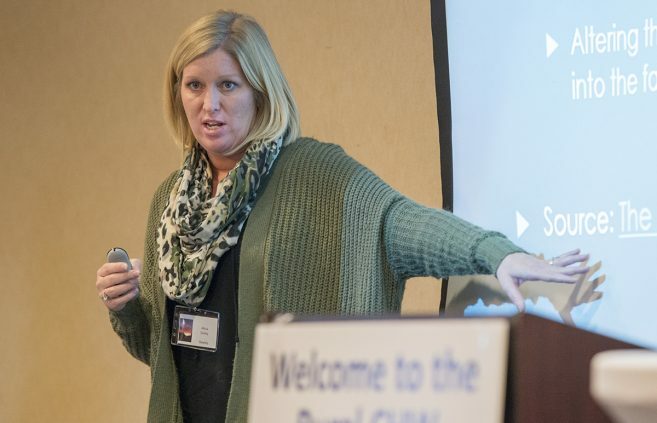 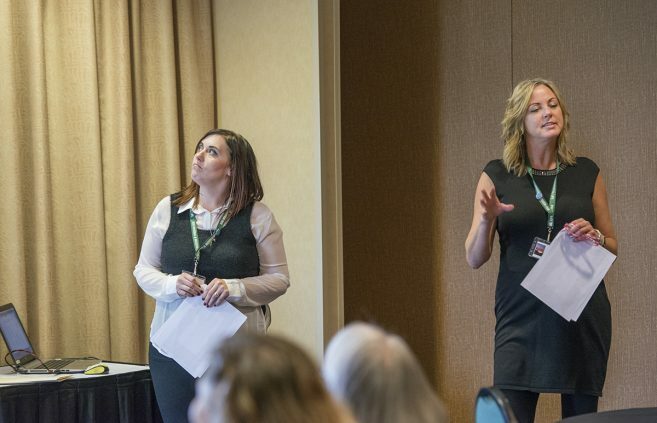 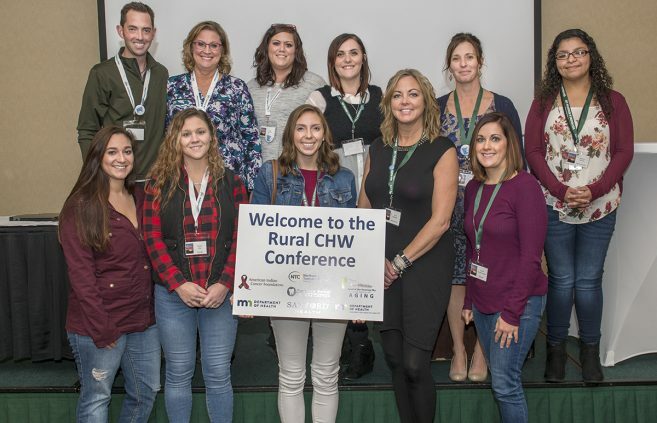 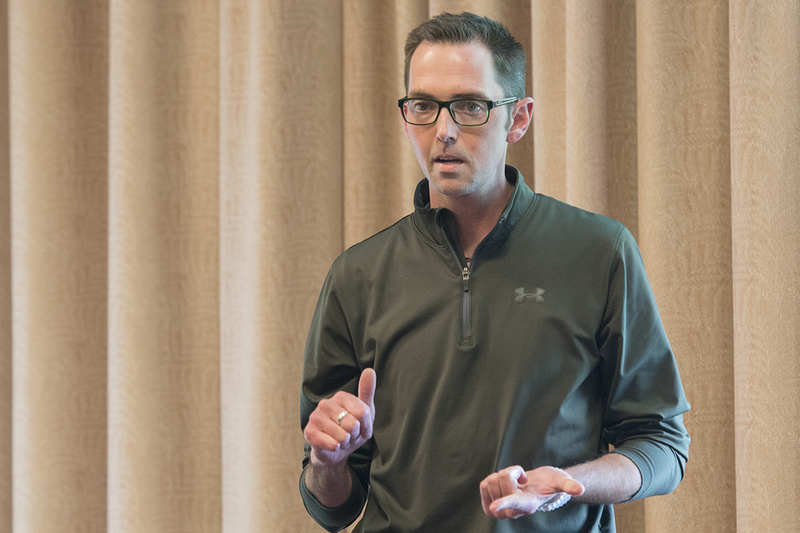 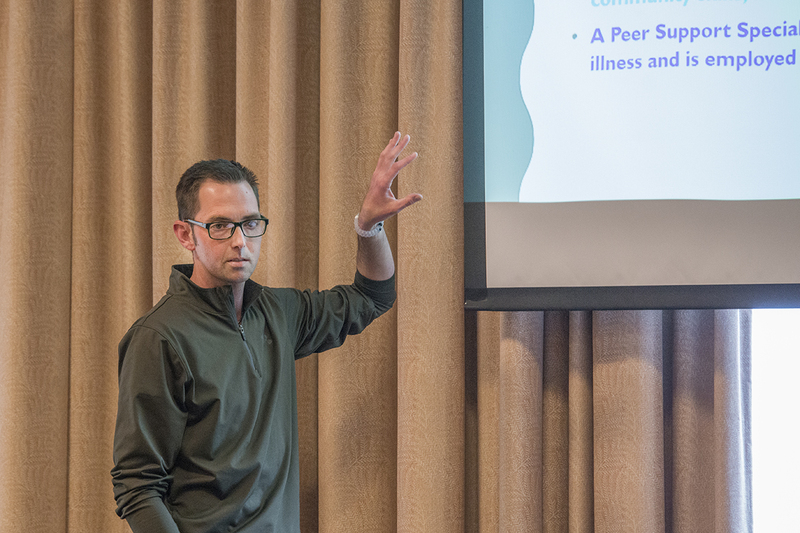 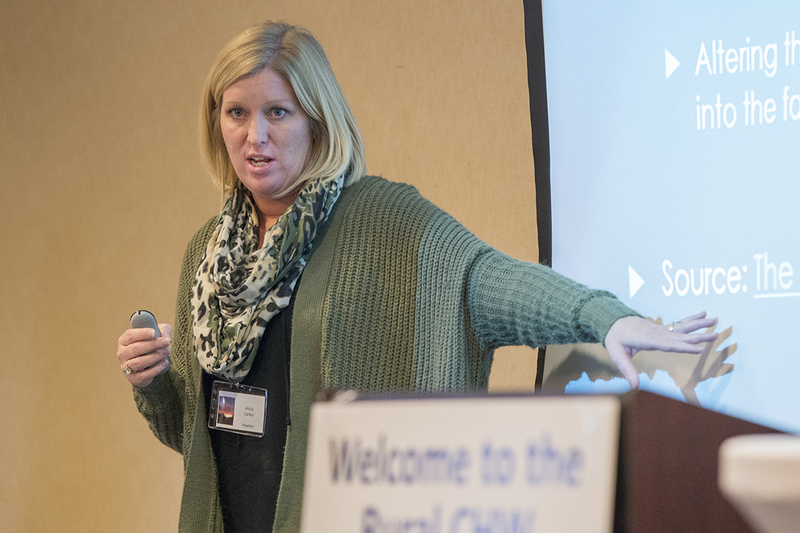 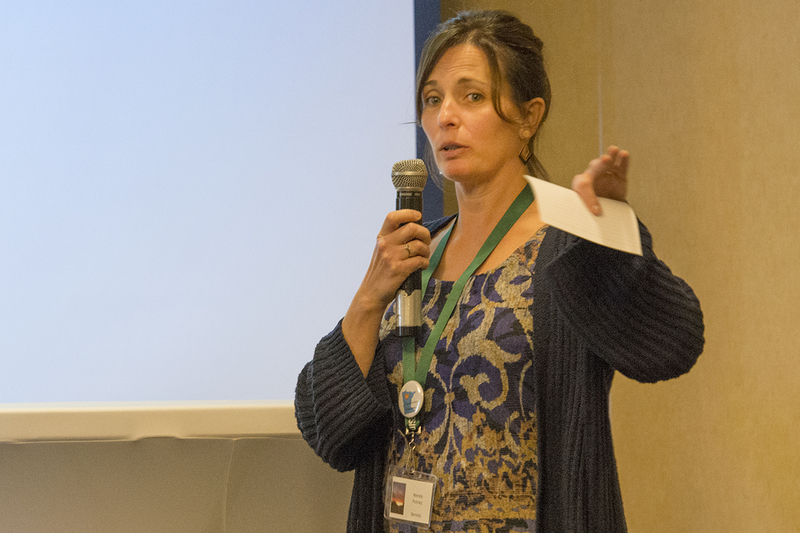 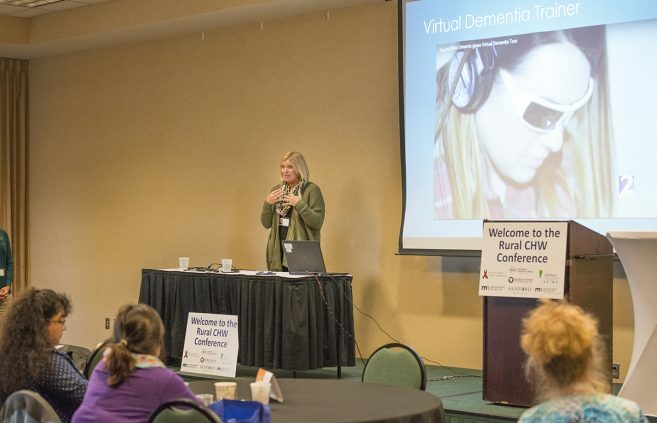 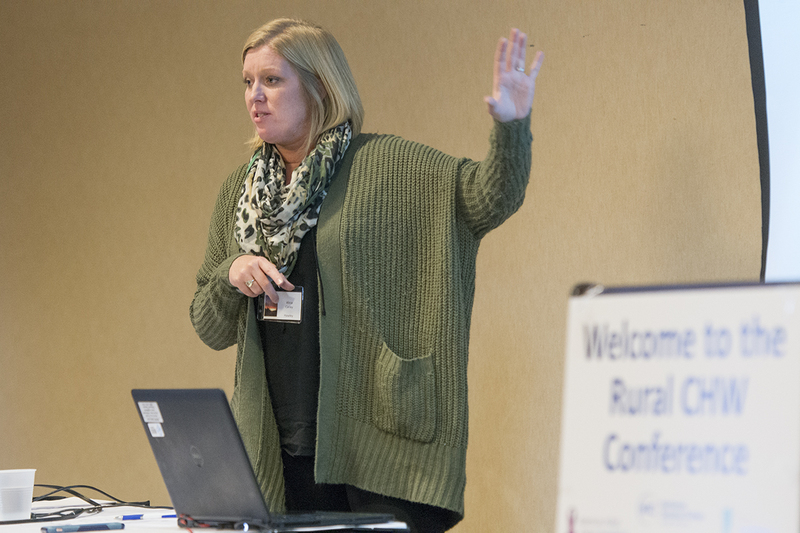 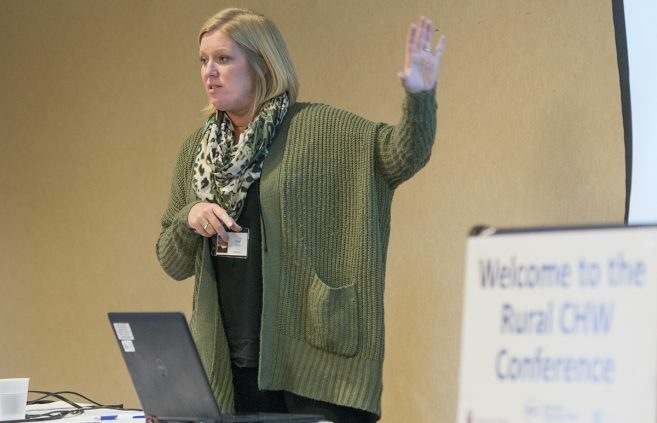 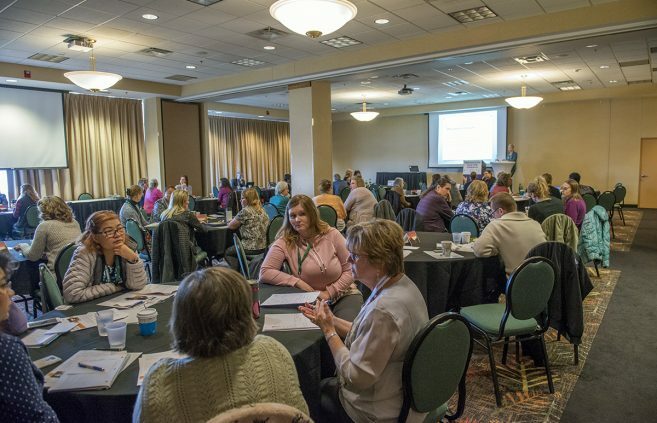 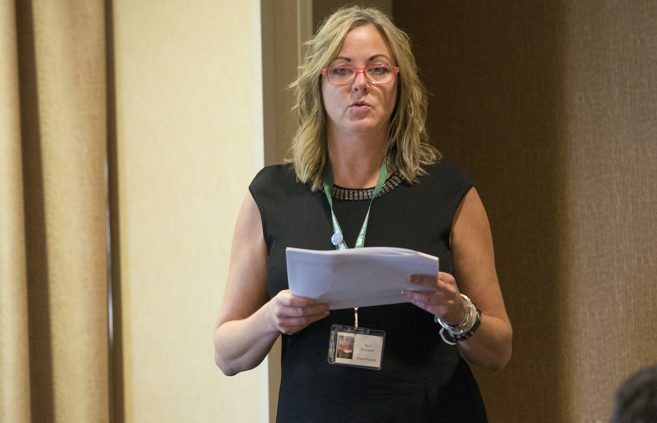 Northwest Technical College faculty and staff presented at the Rural Minnesota Community Health Worker Conference that took place at the Hampton Inn and Suites on Sept. 28. 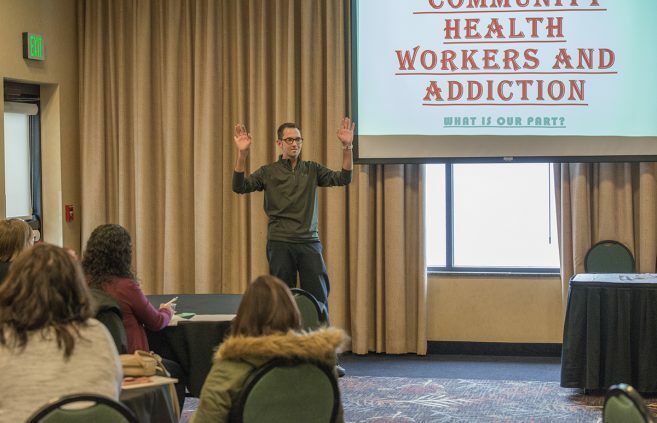 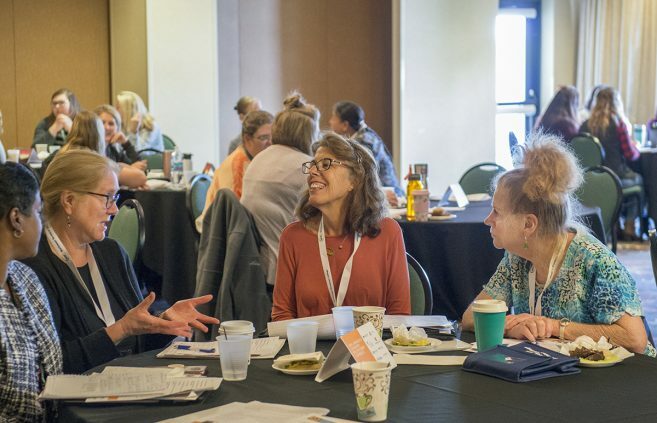 The daylong conference was intended for employers and potential employers of community health workers, as well as to provide community health workers with opportunities to network with colleagues and learn strategies for advocating for their own roles in the health care system, at work, and in their communities. 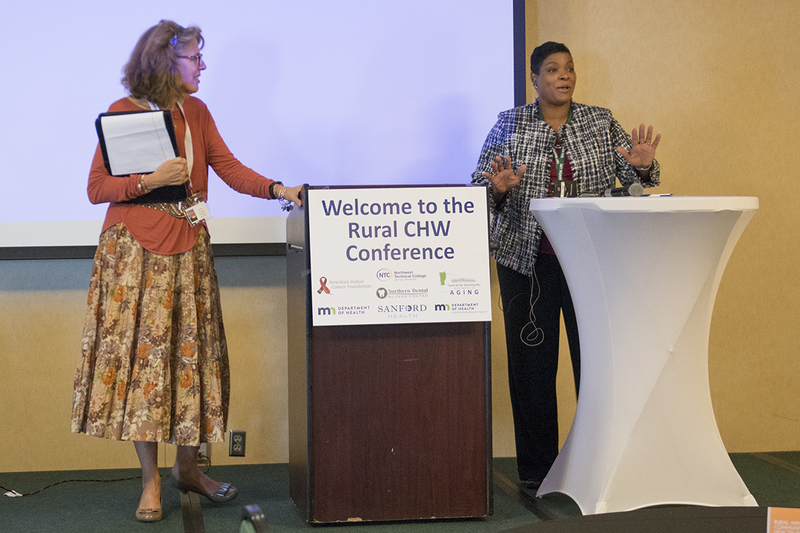 Director of Nursing and Health Sciences, Michele Brielmaier, presented the welcome and announcements, NTC faculty, Alicia Carley, presented “Linking Community Health Workers to Gerontology” and Wendy Potratz, adjunct professor in the NTC Community Health Worker program closed the conference with an overall discussion and evaluation of the day’s events. 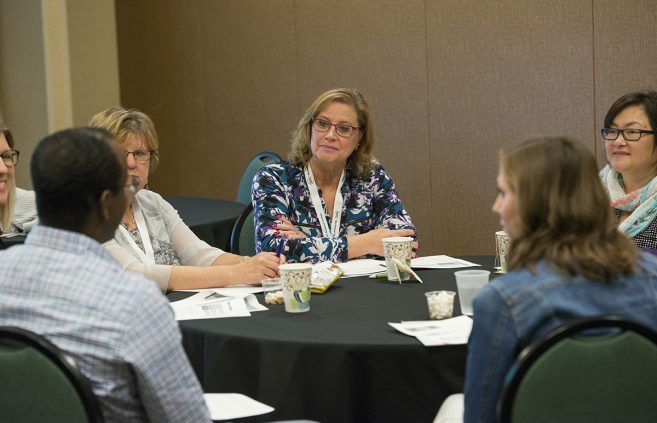 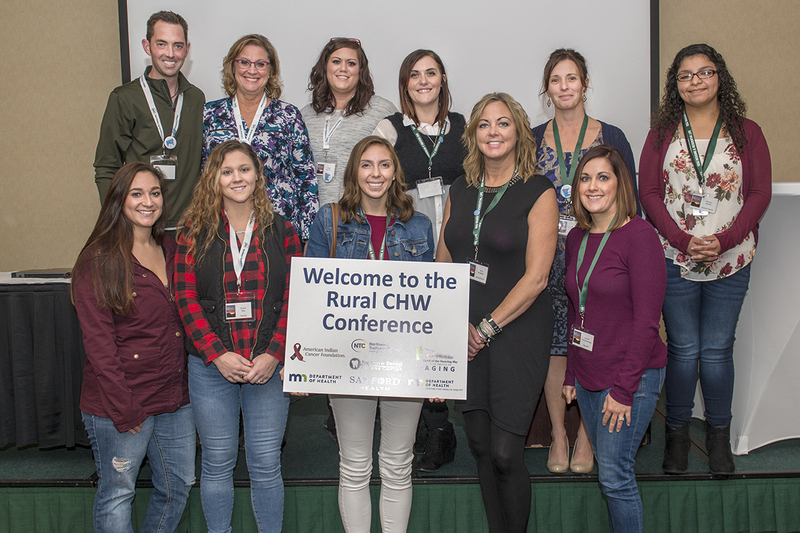 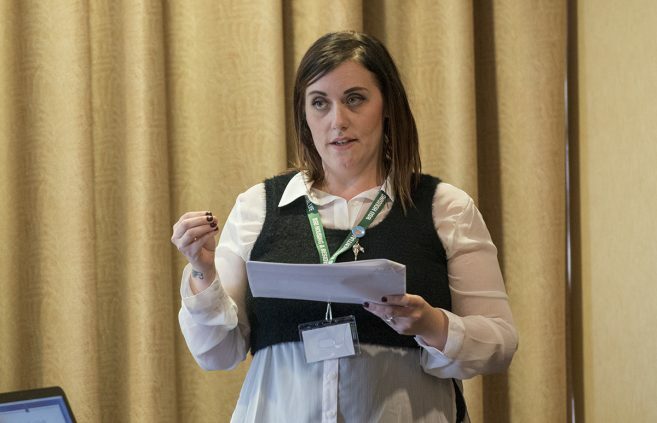 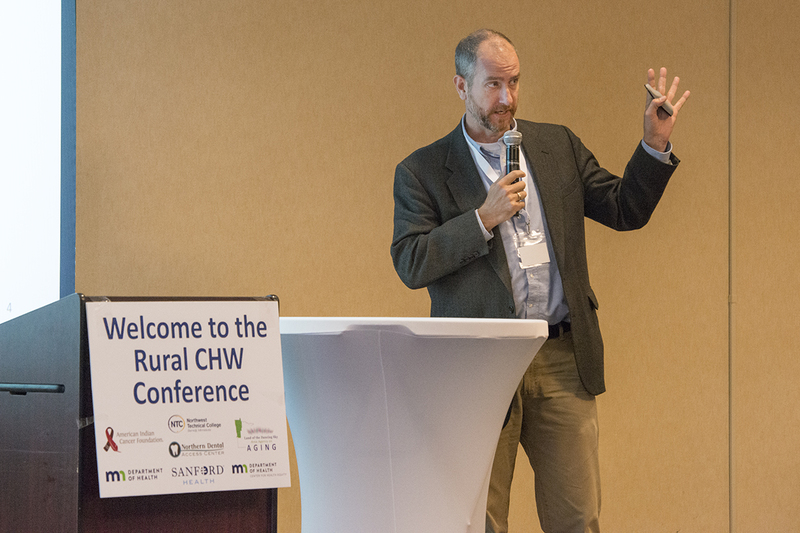 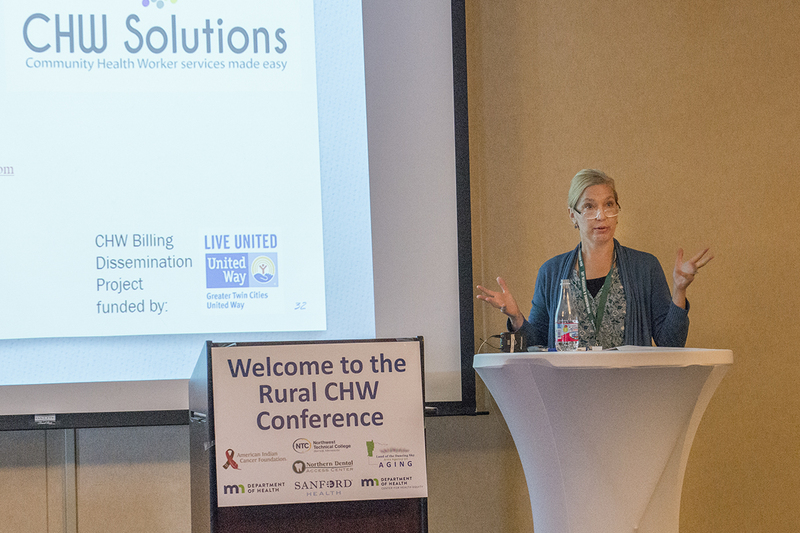 The objective of the conference was to create awareness of the impact of community health workers on health, third-party billing, sustainability efforts and community collaboration opportunities. 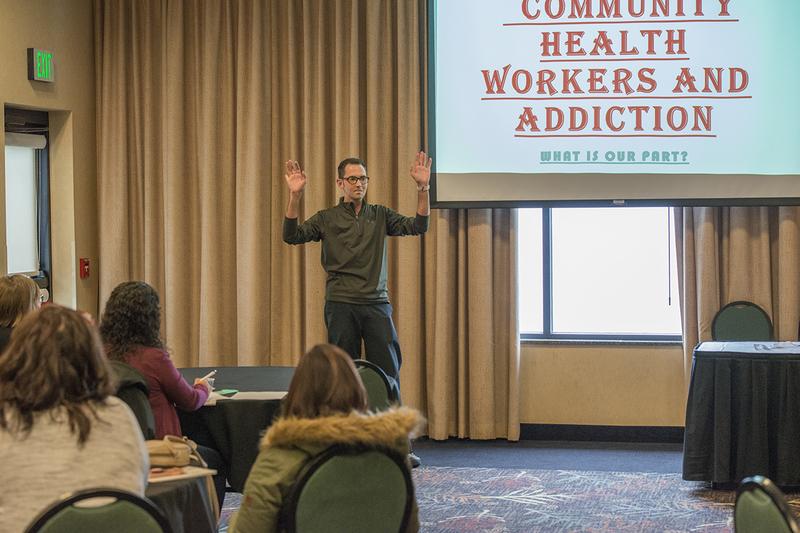 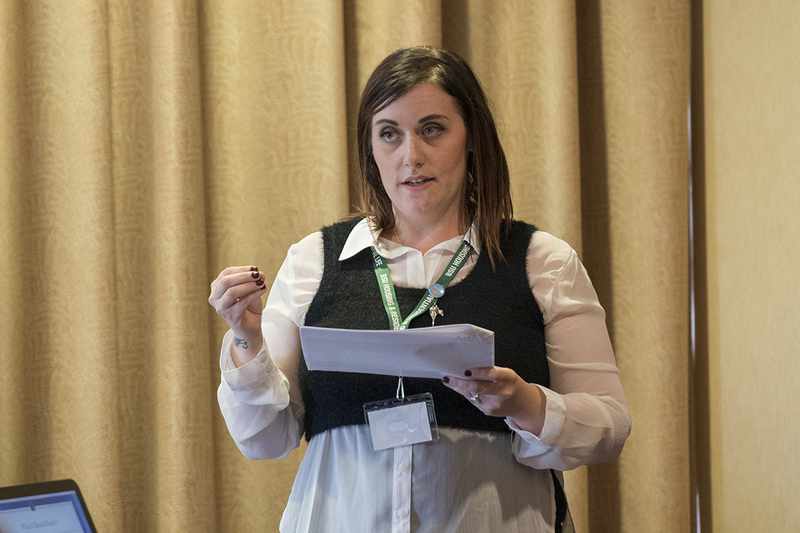 The conference also discussed current policies that affect the work of community health workers. 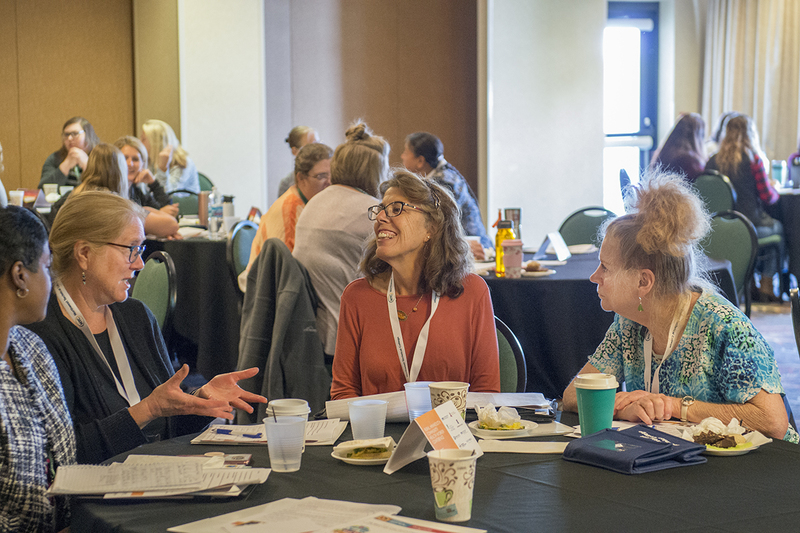 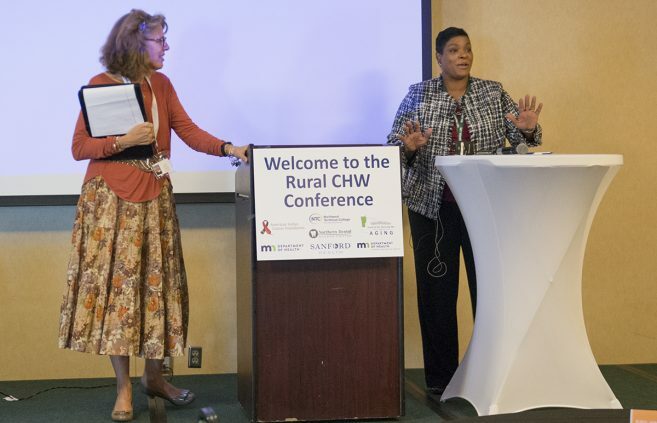 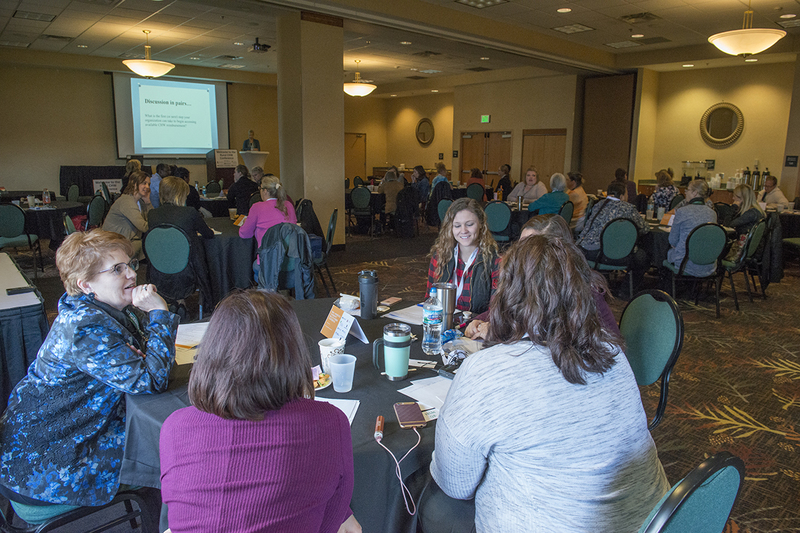 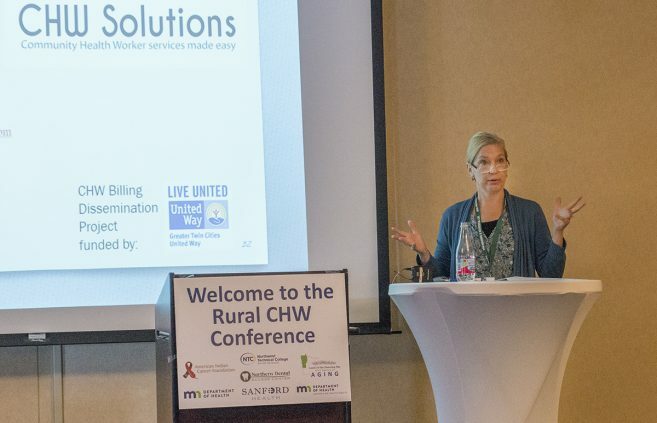 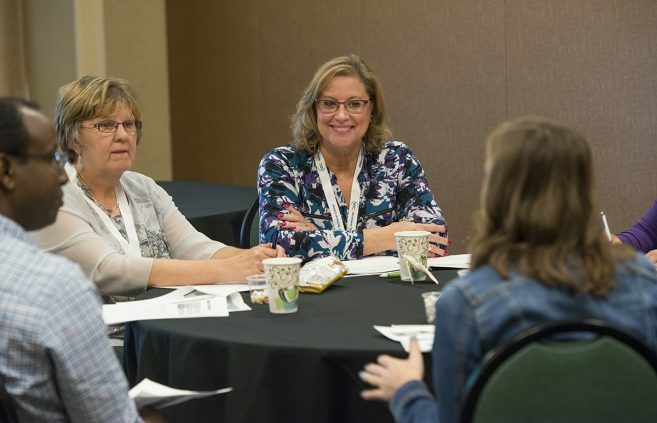 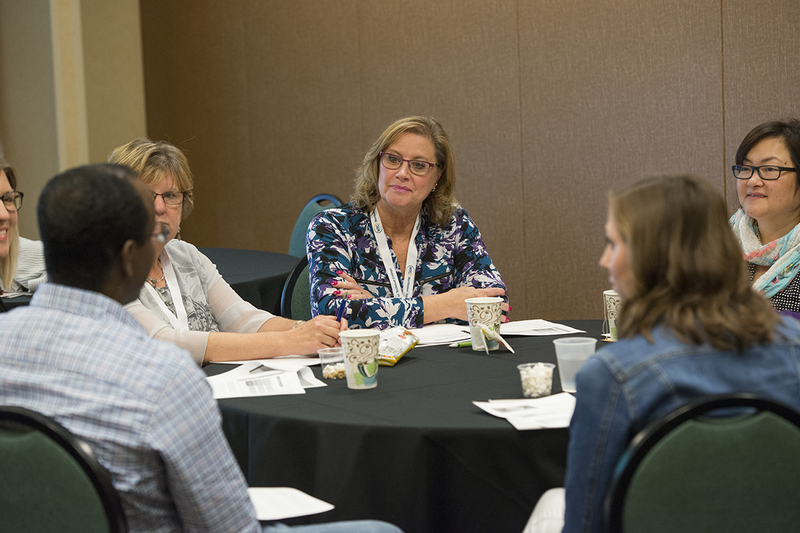 An important takeaway from the conference is that the use of community health workers to reduce health disparities across all populations is growing in Minnesota, as well as nationally. 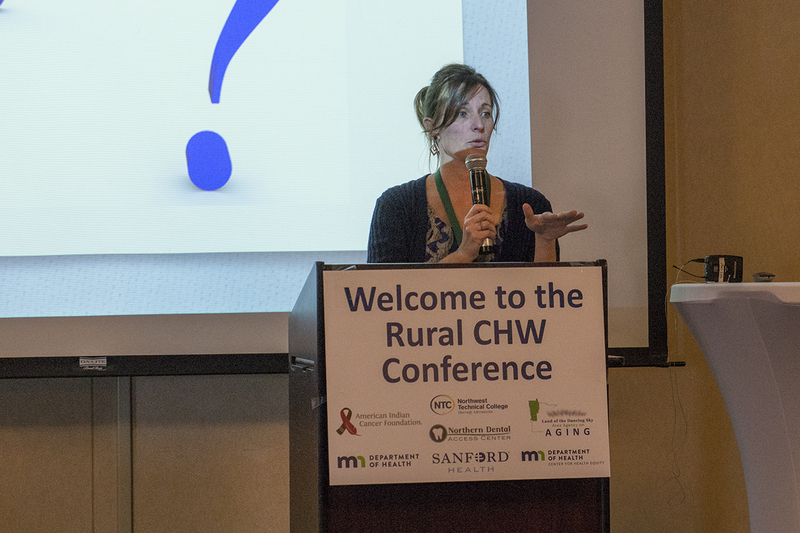 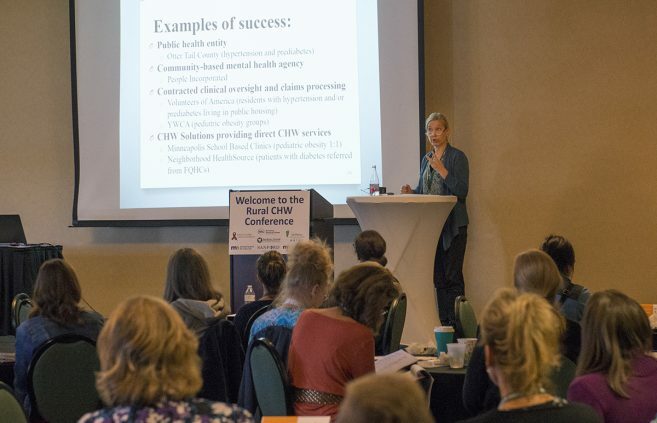 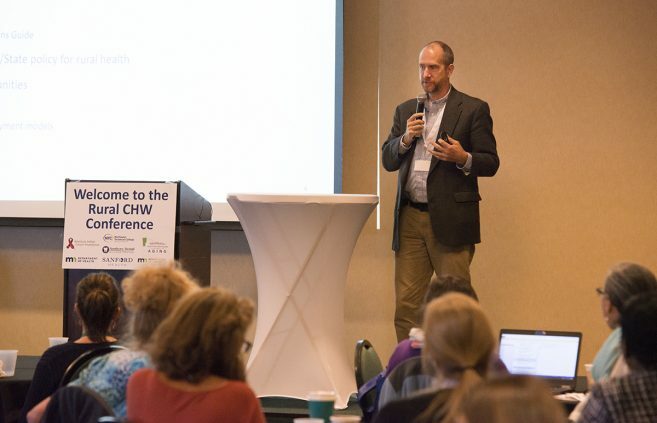 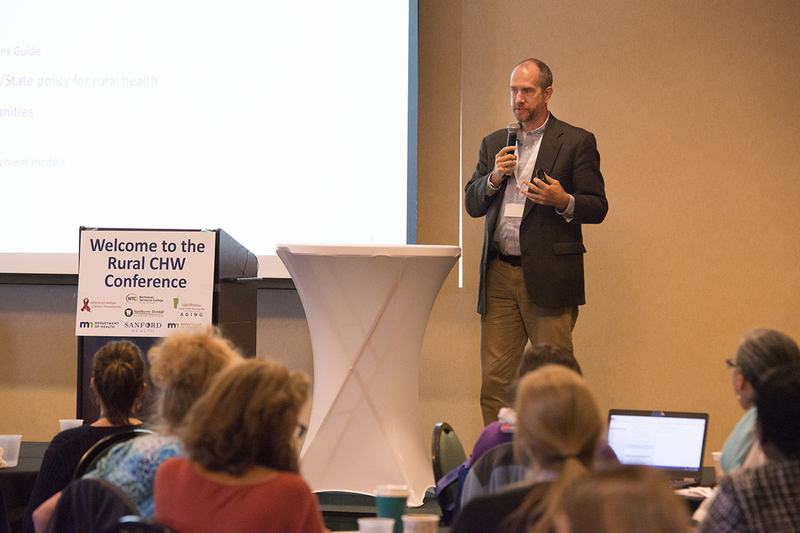 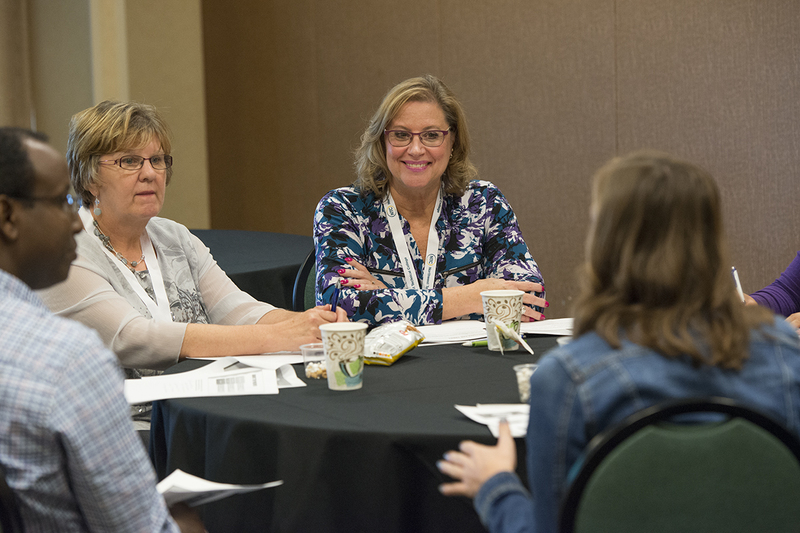 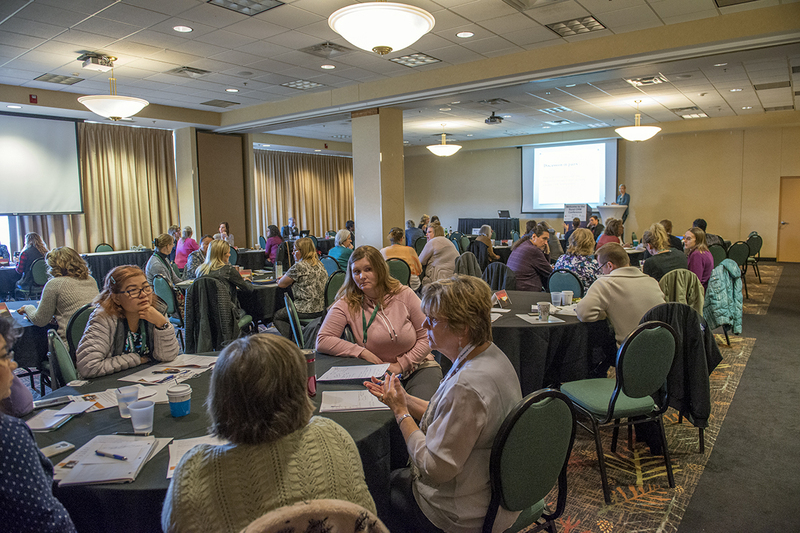 The conference was made possible by support from the Minnesota Department of Health, Sanford Health and the Northern Dental Access Center.